Every entrepreneur should constantly seek opportunities to grow his/her business in every aspect. 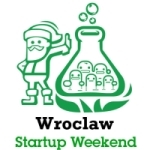 Startup Weekend Wroclaw event which will take place this weekend is such an opportunity – it can help attending entrepreneur in many ways – networking, hiring, inspiration. When attending Startup Weekend event back in November 2011 in Szczecin I was amazed by positive energy that is present during such meetings. Lots of young people trying to start up their business, having only weekend to prepare some more sophisticated proof they solve worlds biggest problems, and mentors, sharing their wisdom and experience – they were all excited trying to build together “their next big thing”. Picking just one point to concentrate on will make a change, picking more – will explode with positive energy for you and all the attendees. Let’s make it the best Startup Weekend ever!